All iPhones of the same model and version come with the same stock ringtones. Now the problem arises when we cannot really tell if it is our iPhone ringing or somebody else’s especially when in public places. This makes many users fed up and to crave for unique and beautiful ringtones for their iPhone 8/8 Plus/X to match their style, taste, and preference. Don't worry anymore, here we show you how to make and transfer new custom ringtones to your iPhone and the top five free websites where you can download free iPhone 8/X ringtones that suite your mood and taste and help you express your inner self. When one wants to set or get a favorite song as a custom ringtone, then the question of how to add or transfer a tone to iPhone comes up. You can move your favorite ringtones to iPhone 8/8 Plus/X using iTunes, which is usually the first option for most users, by following the steps below. Launch iTunes on your computer and then connect your iPhone 8/8 Plus/X via a USB cable. Wait for iTunes to recognize your device and then find the device icon on the top left of the iTunes menu and then click on it. 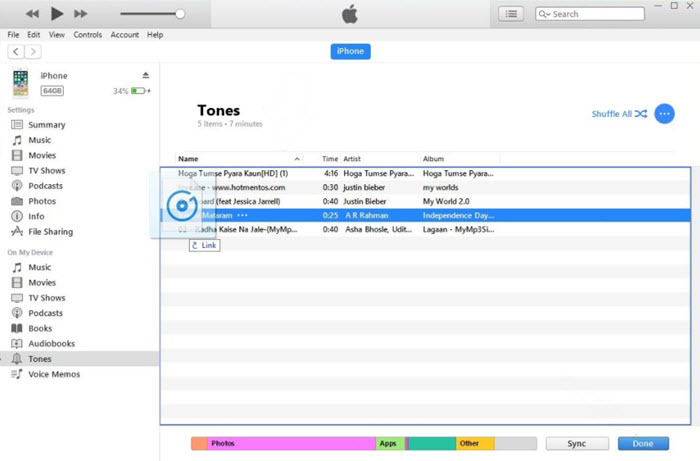 Browse to the location where you have saved the files on your computer and then drag and drop the .m4r ringtone onto the Tones section in iTunes. Once you see the ringtones appear on the Tones Section, that means you have successfully transferred them to your iPhone 8/8 Plus/X. 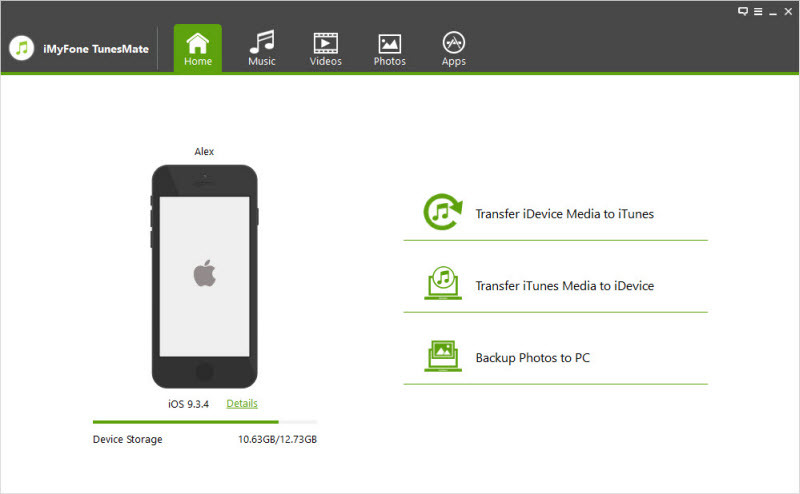 Both free and paid music are supported: transfer free downlaoded music from PC to iPhone. 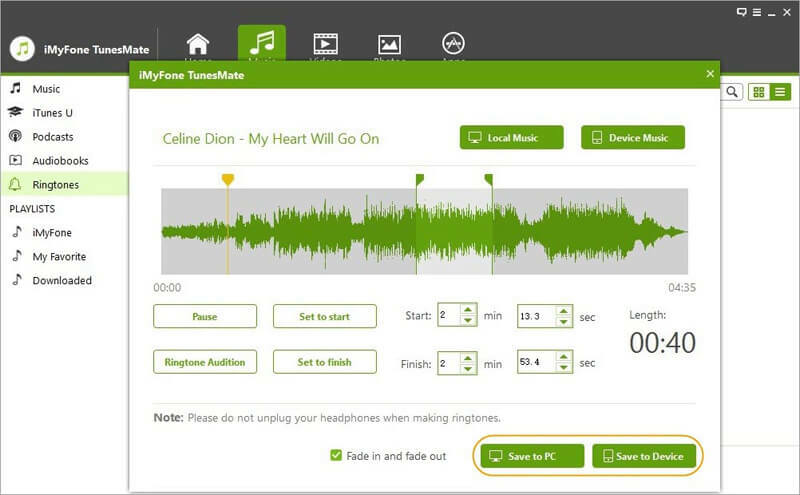 No erasing: sync songs securely and efficiently to iPhone/iTunes with no chances of data loss. Extract iTunes Music: you even do not need to open iTunes or inputing any iTunes password. Custom ringtones: Easily custom any music into your favourite ringtones. 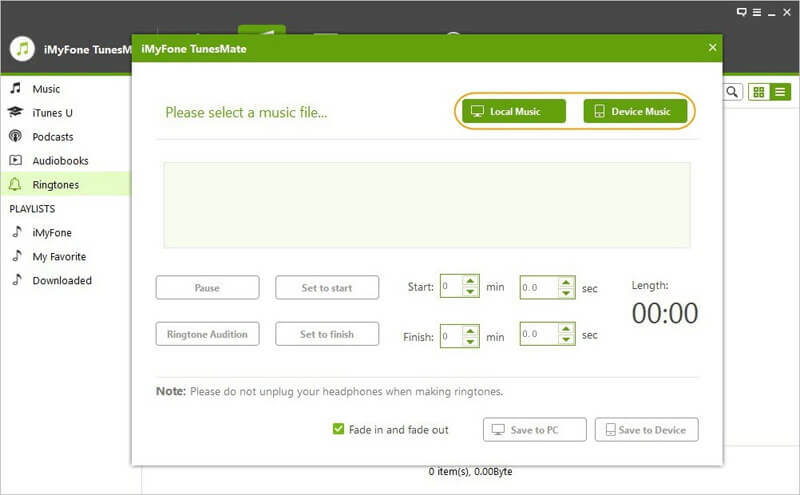 Here are the steps of how to make new custom ringtones with TunesMate. Step 1: Run the program and connect your iPhone. Step 2: Select “Music” mode, then choose "Ringtones > Ringtone Maker". Step 3: Choose a music file from your computer or iPhone. Step 4: Pick your favourite part of the song as your ringtone by simply dragging the light grey area. Step 5: You can use "Ringtone Audition" to check your chosen part, then save it to your PC or iPhone. A new ringtone has just made by yourself. No Custom Ringtones on iPhone 8/8 Plus/X after Restoring Backups? How to Fix? Install the latest iTunes application or update to the most recent version in case you have an older version and then connect the iPhone 8/8 Plus/X with the missing ringtones. Once iTunes detect it, you will see it listed in the left Menu. Click on it to open it up. Go to and select Tones on the left sidebar and then open it. Now go to the top bar on iTunes interface and click on “File” and then “Add File to Library”. 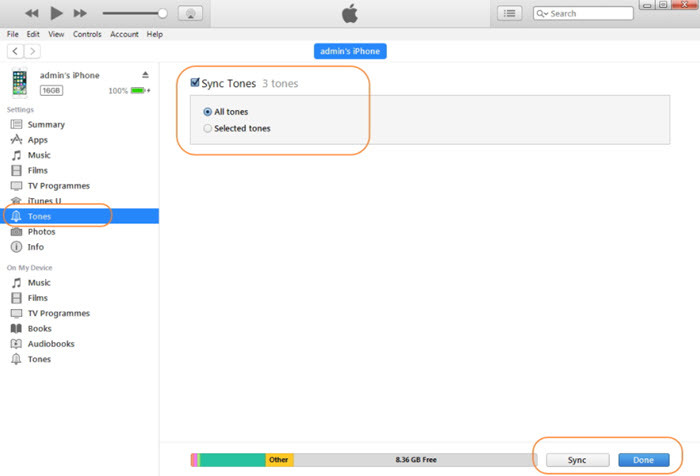 After the file appears in the tones section click on “Summary,” and then on “Sync” the phone and your ringtones will appear on your iPhone 8/X. 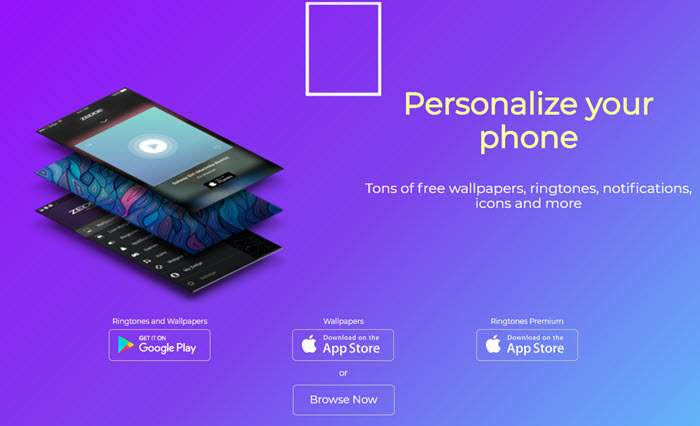 Zedge.net is an all rounded online website that provides iPhone 8/X ringtone downloads. It also has some cool wallpapers and games that you can up your iPhone with. When it comes to downloading unique and cool features this website is the one I would prefer most. 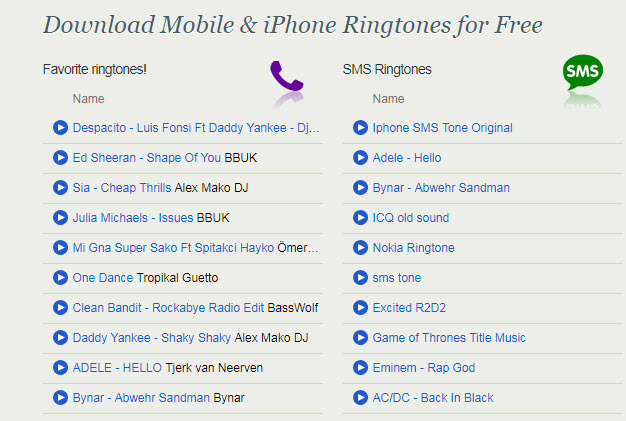 This is so as all ringtones on this site are free and are very easy to access and requires no registration or sign up. To get the ringtones on your iPhone 8 or X, you can easily download them to your computer and then use iTunes to transfer them, send them to your email and then download them to your iPhone or even scanning the QR Code with no spam. Phone zoo is known for its excellent visual display, simplicity, and appeal to most of its users. 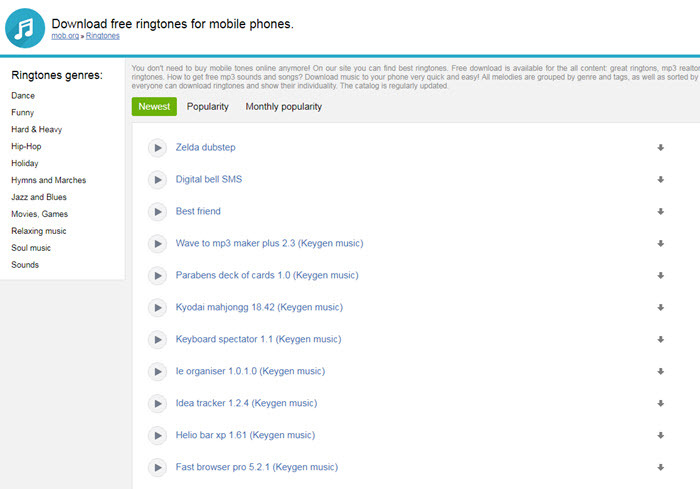 To get your best ringtones, you need not spend a single penny on this website as all tones are free for download. 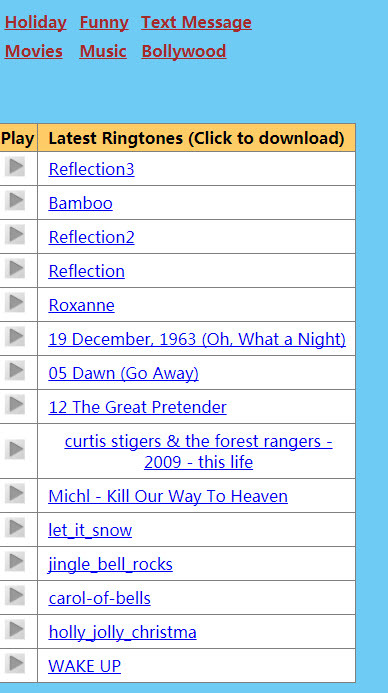 It has a search panel that you can use to look for music that best suits your taste and personality. 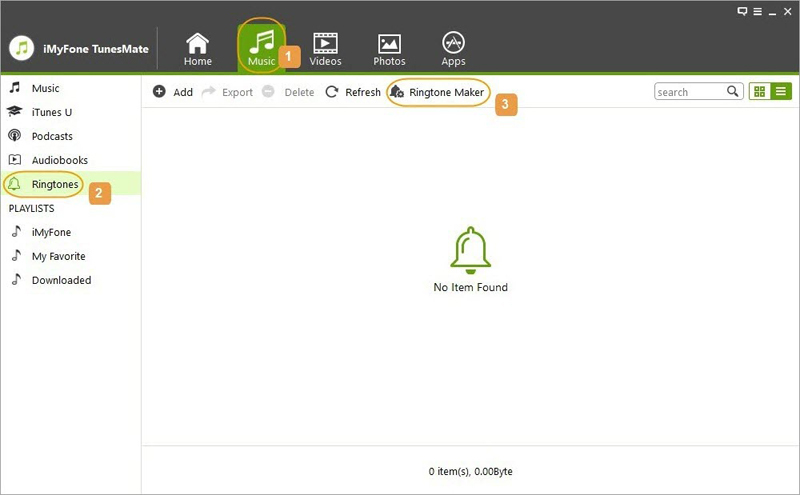 You can also create your own ringtones using the creating panes within the website’s interface. 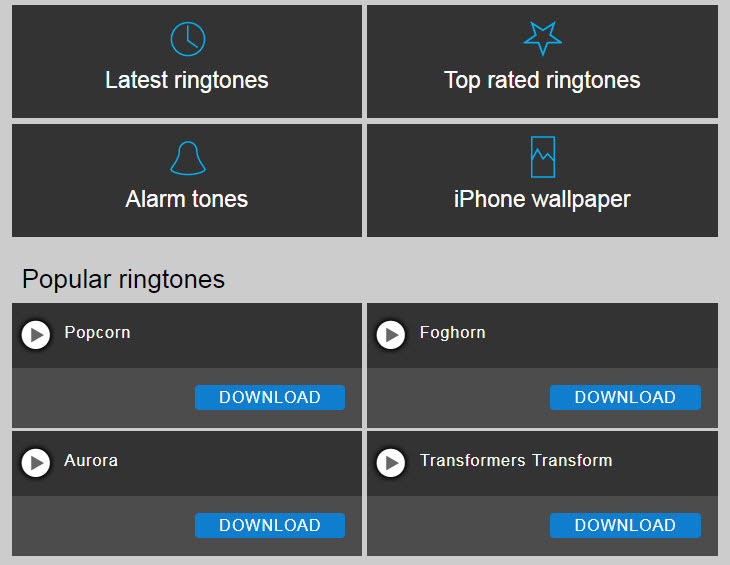 With phonezoo.com all the tones you get are genuinely rated by customers, and you can even rate a ringtone after download yourself.